I think we can all agree that winter is brutal on the skin. Just last year I remember asking my roommate Macy how to get rid of the flaky skin on my face, and she introduced me to moisturizer for the first time! Oh, how far I've come since then... 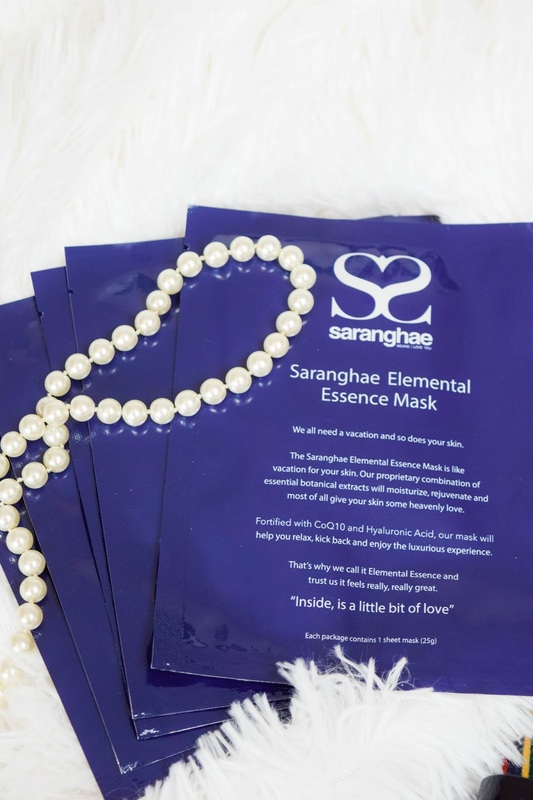 This winter I've stepped up my skin care routine to preserve and hydrate my face as much as possible with Saranghae's 5 step routine, and wow, my skin is thanking me! 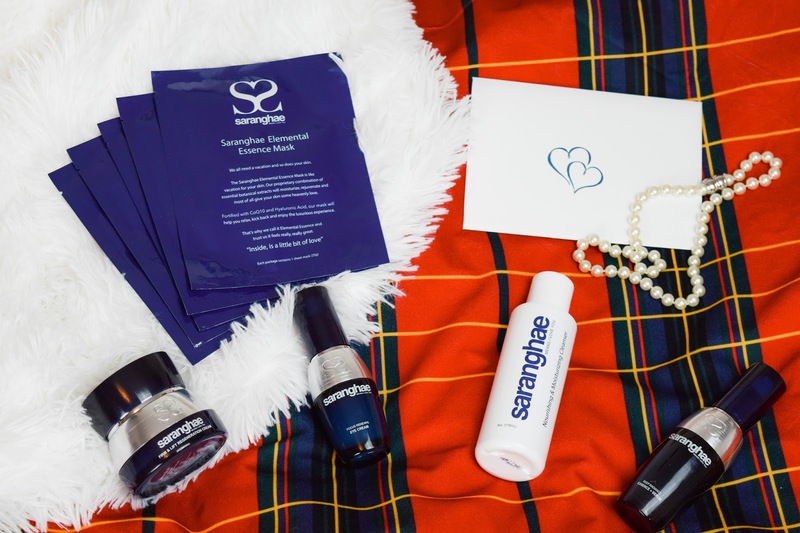 Saranghae's Korean skin care products aim to both heal and protect your skin, and despite the bitter cold and snow pelting me in the face today their moisturizing products have left my skin glowing in the dead of winter. In case y'all are having the same problem I had a year ago (flaky skin was just not cute on me y'all...), I thought it would be helpful to share the 5 steps I have been doing with my Saranghae products to protect my skin this season! The only way to start a beneficial skin care routine is to create a clean base. Once I start to wind down for the night I go over to the sink and wash my face with Saranghae's cleanser to eliminate any dirt or excess makeup left on my face. When I first used this product I wasn't prepared for how watery it was, but the light product still left my face feeling clean and refreshed. Although, looking at their website now it seems that they improved this product by making it a foam cleanser! 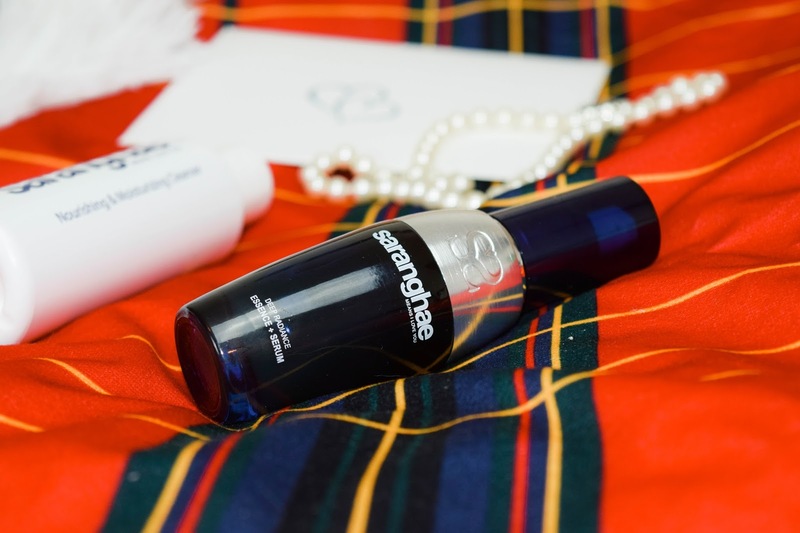 Since Saranghae is a Korean skin care line, they combined the positive effects of a Korean essence and an American serum to create the ultimate hydrating product. During the winter especially, I have seen this product eliminate my dry and flaky skin around my nose, and it's also supposed to balance your skin's pH level to prevent inflammation and breakouts if you're prone to those! Also, due to it's oily nature, I have found that patting it into my skin works much better than rubbing. 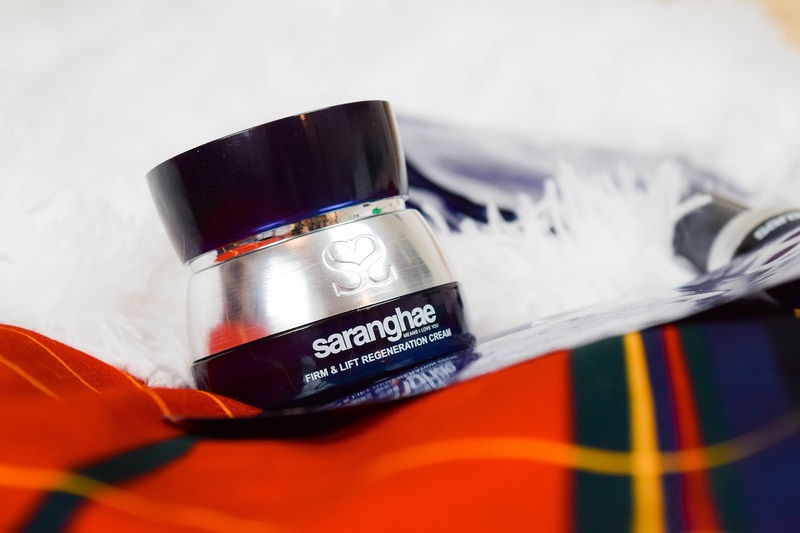 After walking to and from class with the harsh winter wind whipping against my face all day, Saranghae's face cream feels so soothing on the skin. After applying the essence + serum, I rub the taupe-colored cream into the especially dry spots on my face, typically my cheeks, chin and forehead. This is probably one of my favorite products of the 5 step routine because it's both moisturizing and firming, so it always feels like it's doing something haha! 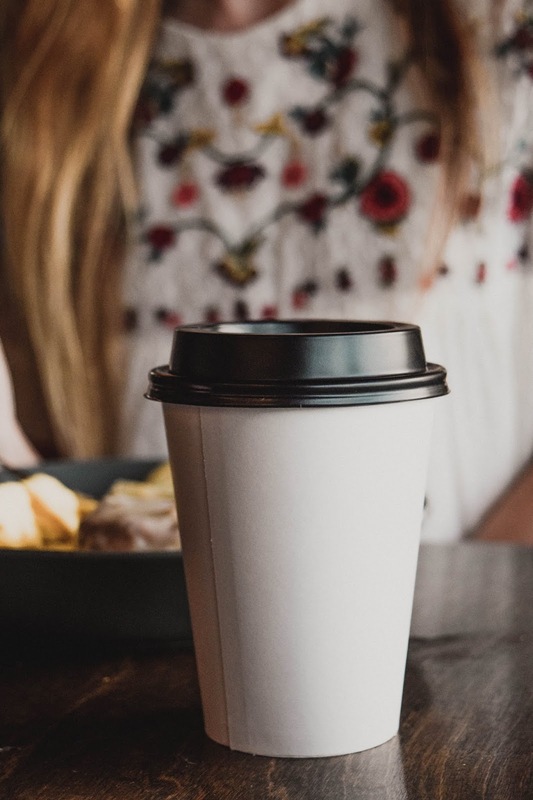 Winter is hard enough on your skin, but when you add in the stress and sleep deprivation that often comes with college it's not uncommon for the dark circles under your eyes to look intense in the morning. Saranghae's eye cream is by far my favorite product of the entire routine because it leaves my under eyes feeling bright and hydrated the next morning. A little bit goes a lot way in all of these products, so after applying the moisturizer, I pat the tiniest pump of eye cream underneath my eyes. After this step I'm typically ready to go to bed to let everything soak in overnight! Twice a week I skip steps 2-4 and choose to refresh my skin with a face mask instead! After using the cleanser I will lay the super hydrating (it's seriously soaked in moisture!) sheet mask on my face for 20 minutes. The instructions say to not wash off the leftover moisture on your face after taking off the mask, but I can't handle the oily feeling. Instead, I usually let the excess moisture sit on my skin for another 30 minutes and gently wash it off with water right before jumping in bed. If y'all want to learn more about Saranghae I have included their social media links below! Happy Monday and stay warm my friends! them become the fastest growing Korean skin care brand in the United States. Thank you Saranghae for sponsoring this post!